Jessica began her sales career selling cosmetics at a luxury retailer, which lead to managing a retail team and eventually buying for a west coast hair care distributor. 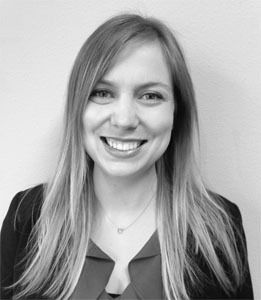 In 2013, Jessica joined our Oregon sales team working with some of our most prominent vendors in storage, flatware, and home textiles. Today Jessica manages a significant home textiles client. Jessica has a husband and 3-year-old daughter who enjoy traveling around the world together. Jessica graduated from Portland State University with a degree in English and French. She also studied at the L'Universite Catholique de l'Ouest in Angers, France.